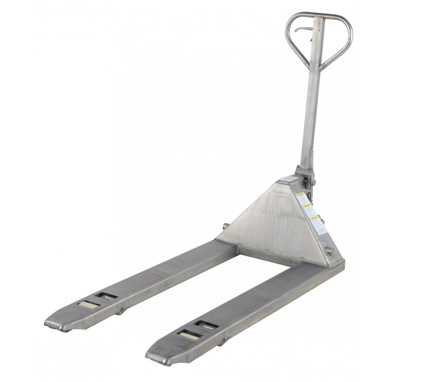 Pallet Trucks Stainless Steel model PM5-2748-SS Ideal for sanitary, pharmaceutical, medical, food, corrosive and wet environments. 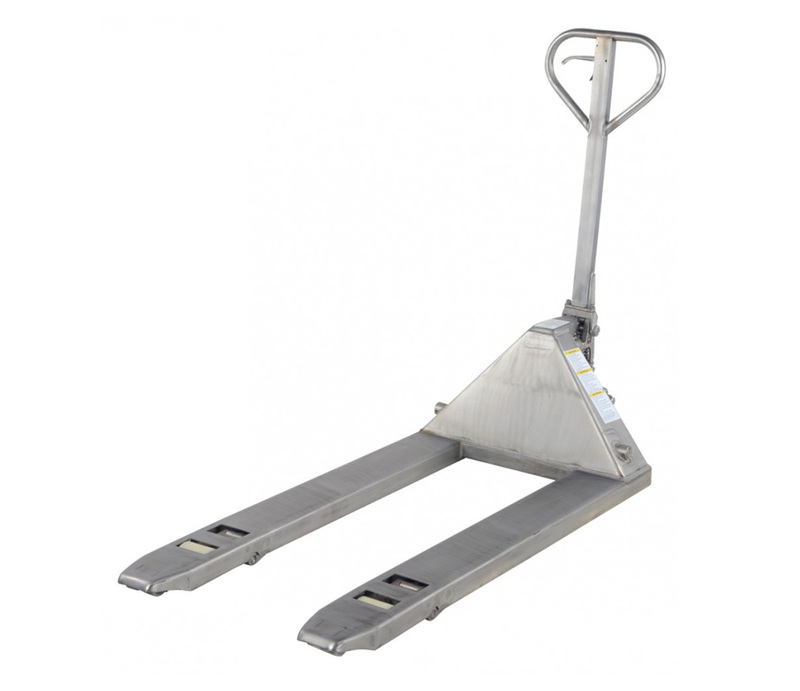 Choose type 304 stainless steel frame and forks only or 100% type 304 stainless steel pallet truck for long life in the most harsh environments. 5,500 pounds uniform capacity.